Admit it. Some of you spend your days wearing gym clothes without even stepping foot into a gym. Don't worry, we aren't here to call you out on it. In fact, there is nothing more comfortable than spending your day dressed head-to-toe in stretchy performance wear. After spending years dressed in comfortable fitness gear, ex-lululemon designer, Shannon Wilson and her step-son JJ decided they wanted the gym-clothes feel with an air of fashion and sophistication. This dynamic duo has created another perfect pair by combining functionality and fashion for guys and gals in their brand, 'Kit and Ace'. 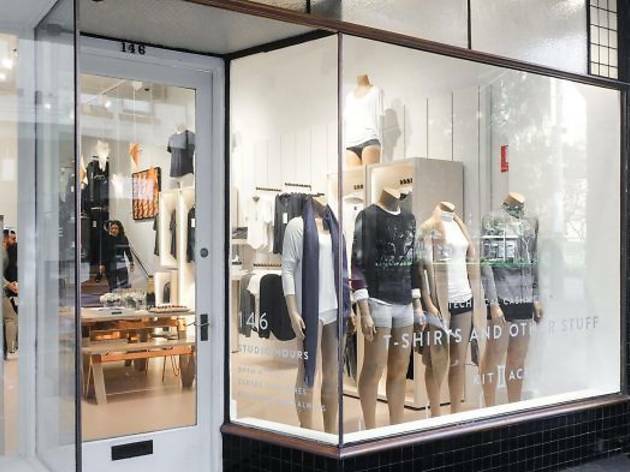 Founded in Vancouver, 'Kit and Ace' has stores across North America and is now open on Greville Street in Prahran. While the brand is new, its designers are confident in its success through innovative design. 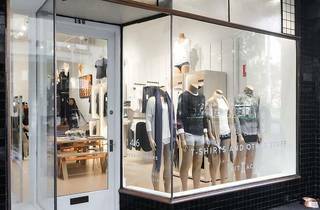 'Kit and Ace' uses machine-washable cashmere in its contemporary luxury designs so you can look hot, feel cozy and then throw your outfit straight into the laundry basket. In each of their brick and mortar stores, 'Kit and Ace' features artistic works of native art to the city where they open up shop so you can service your artistic needs as well. Imagine 'Jac & Jack' and 'Bassike' meet up with lululemon and have babies and that baby is 'Kit and Ace'. Check out our Q&A with founders JJ and Shannon Wilson.